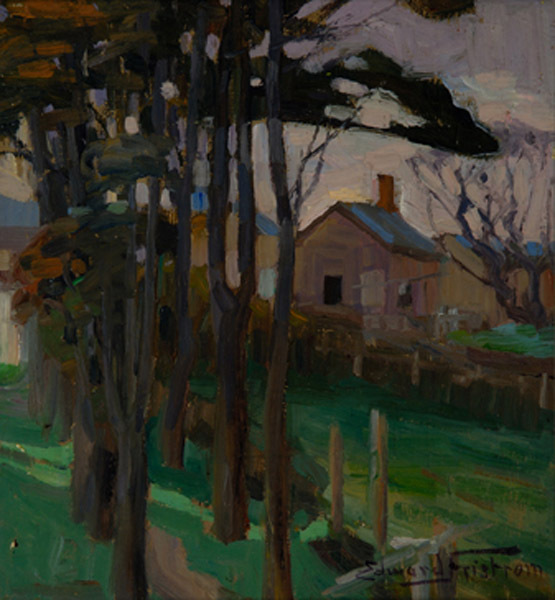 This exhibition brings alive the story of New Zealand's early impressionist movement, at the legendary Pumpkin Cottage in Silverstream. 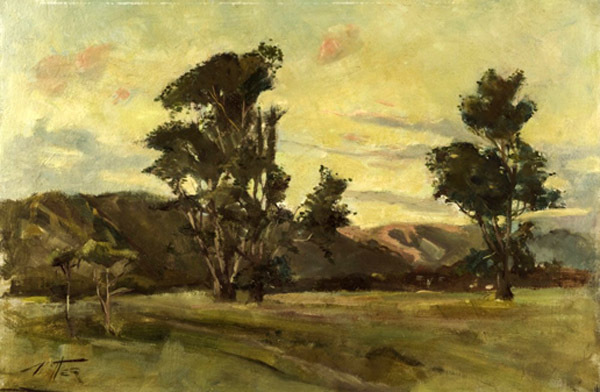 ‘Bohemians of the Brush; Pumpkin Cottage Impressionists’ will tell the little-known story of how James Nairn united modern artists from throughout the country in the 1890s and helped redefine New Zealand painting. The exhibition will bring alive New Zealand’s most famous artists’ retreat, the legendary Pumpkin Cottage at Silverstream. 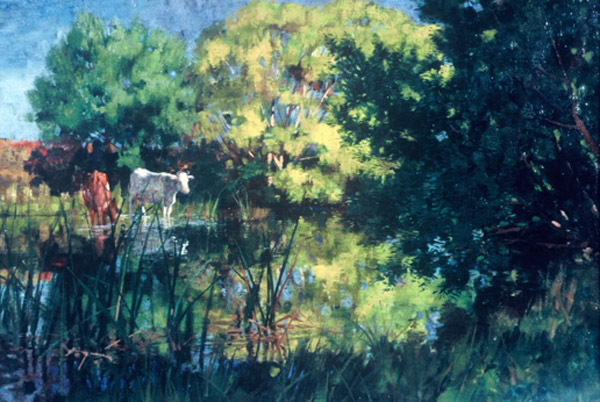 The exhibition will present about thirty plein-air and impressionist paintings drawn from Expressions Arts and Entertainment Centre’s Pumpkin Cottage Paintings Collection, and from public and private collections. Artists will include James Nairn, Mabel Hill, John Baillie, George Butler, Mary Elizabeth Tripe, Frances Hodgkins, Girolamo Nerli and their followers Fred Sedgwick, Edward Fristrom and Nugent Welch. Their bright and painterly images of intimate and honest moments in time also capture the characteristic colours of the New Zealand landscape. 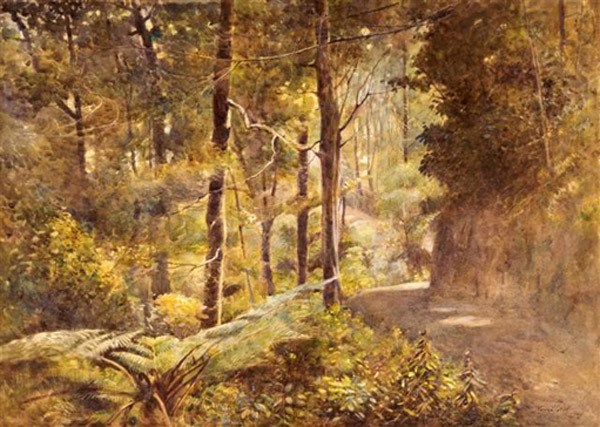 Nairn led the New Zealand movement towards impressionism as these artists rebelled against the insincerity of the dominant romantic landscape imagery, popularised by John Gully’s grand paintings of such as Mitre Peak. The exhibition will also convey through contemporary quotes, poetry, photographs and music how bohemian the artists at Pumpkin Cottage and the rebel Wellington Art Club exhibitions were regarded at the time. Approximately 30 impressionist and plein-air works & contextual graphic panels generously illustrated with photographs of the artists and the key locations. 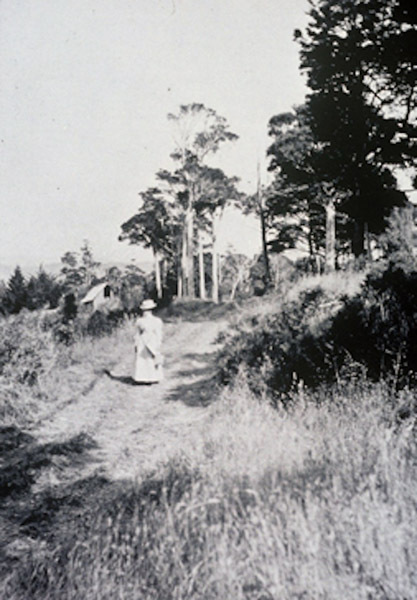 Setting the scene – arcadia at Silverstream – includes prior history of the cottage. Bohemian life at Pumpkin Cottage – introducing the creative intellectuals, including their literary and musical interests. 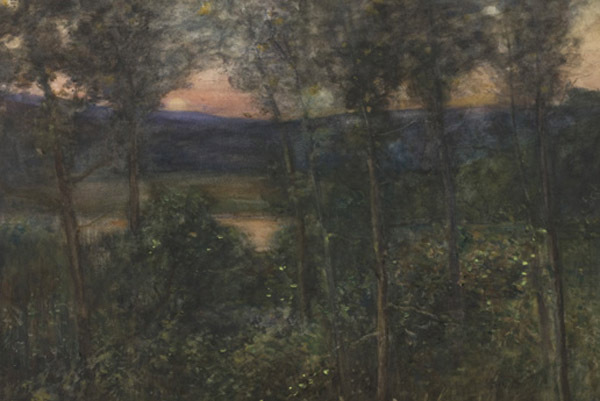 Their modern plein air and impressionist response to the landscape. Rebel exhibitions and politics – Wellington Art Club’s artists and their critics battle it out on a national stage. Proving they could draw – portraiture. Leaving an impression – the legend of Pumpkin Cottage. Ephemera including a model of Pumpkin Cottage by Nicole Cosgrove, Weta Workshop. A high quality DVD made by Provid Ltd. containing an interview with Ernest Cosgrove and Jane Vial will also include images of paintings, photographs, and music of the period. Duration approximately 15 minutes. A catalogue illustrating all works in the exhibition is envisaged. 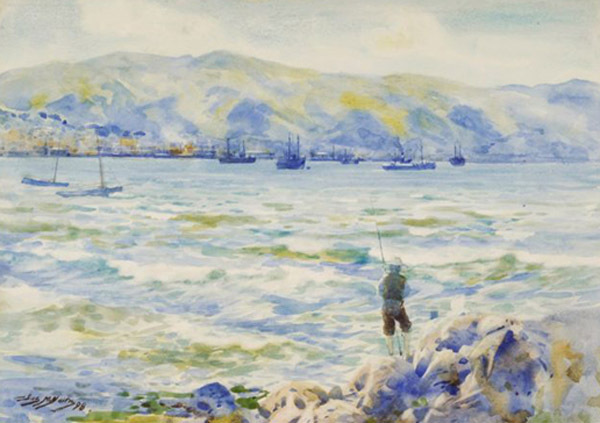 Art historian and curator Jane Vial, a specialist in the New Zealand impressionist movement, has broad experience researching and interpreting New Zealand art. She began her career at Aigantighe Art Gallery and later work included exhibitions officer at Dunedin Public Art Gallery, curator of exhibitions and acting director at Te Manawa, research assistant at the old National Gallery, and image researcher at the Museum of New Zealand Project. She was also an assistant lecturer in Art History at Victoria University while writing her Masters thesis there on the Australasian impressionist movement. From 1998 she led an EU-funded carriage museum project in Co Sligo, Ireland and in 2002 was director of the Millennium Art Gallery before setting up Blenheim-based curatorial consultancy Art & Heritage Services. Recent projects include curating the 2008 International Festival of the Arts exhibition From Fretful sleeper to art world giant; the Gallery of Helen Hitchings for the Museum of Wellington and Painters of Light for the Suter, contributing essays to the 2009 book Art at Te Papa, and lecturing on New Zealand Impressionism at Te Papa during the recent Monet exhibition. “Jane has curated two highly successful but different exhibition projects for the Museum of Wellington City & Sea. Jane brings a strong background in quality research, provides a keen sense of understanding what a visitor enjoys and learns from and adds a spice of fun and entertainment in what she curates.” Brett Mason, Director, Museums Wellington. Bohemians of the Brush is a touring exhibition proposal from Expressions Arts and Entertainment Centre, Upper Hutt. This entry was posted in Past Tours on September 11, 2011 by Admin. lockable display case at least 400mm high for model. $2,950+gst including freight and marine transit insurance. Expressions UH. 1 May – 13 June. Tauranga Art Gallery. 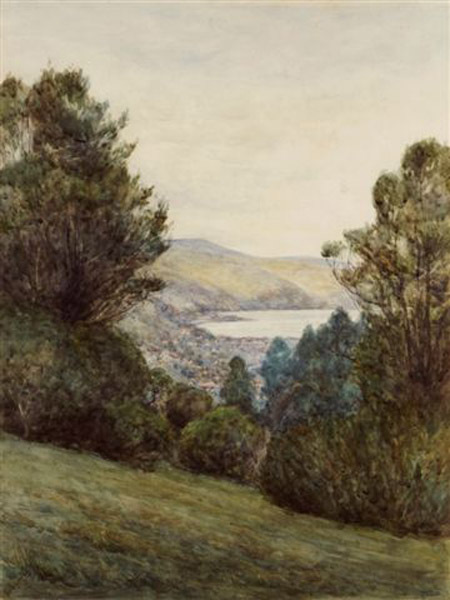 5 July – 5 Sept.
Whangarei Art Museum. 13 Sept – 7 Nov.
Southland Museum. 19 Nov – 6 Feb.
Eastern Southland Gallery. 12 Feb – 10 April. Te Manawa PN. 18 June – 11 Sept 2011. Aratoi, Masterton. 23 Sept – 20 November.